A recent Washington’s Green Grocer delivery brought my first head of red cabbage. Ooh, red cabbage! Wait…red cabbage? What do I make with it? I found a recipe for a warm dressing and modified it to include items that I had on hand. Warm all ingredients in a pan on medium-low heat and whisk to desired consistency. Adjust quantities to taste. 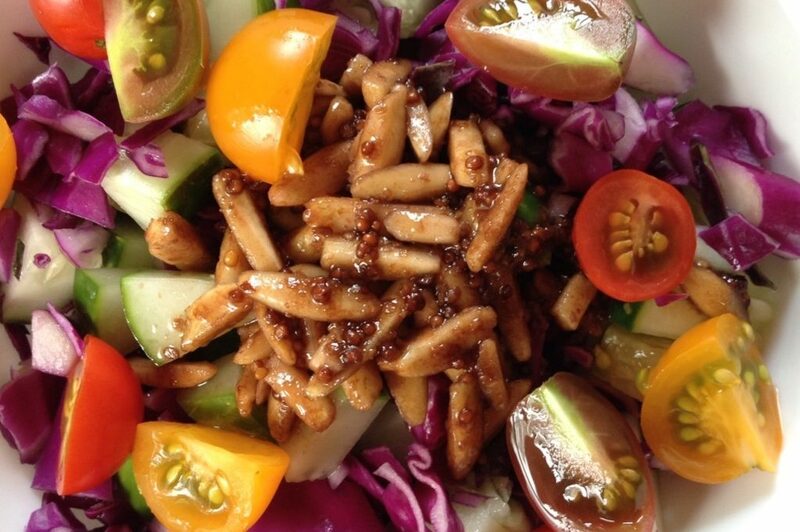 Use dressing atop red cabbage salad with tomatoes and cucumbers. What’s your favorite vinaigrette recipe?